Cool and serious, Chihaya has the greatest enthusiasm towards music and, according to the game, the greatest natural talent for it. She earnestly believes that if she were no longer able to sing, she would rather die. She doesn't care for the title of "idol" and prefers to refer to herself as a "vocalist" instead, somewhat rejecting the non-singing parts of being an idol. 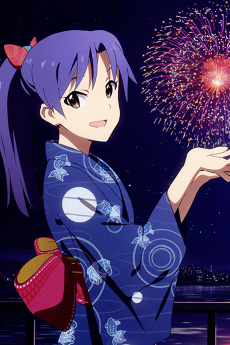 During her time off, Chihaya enjoys listening to classical music and generally spends time by herself. This gives her an aura of maturity, however in reality she's just awkward when it comes to communicating with other people.